Following a recent discussion with an online book-club (which I am now ripping off for this blog!) the subject of covers reared its’ pretty head. Pretty being the operative word, and a pejorative one in this case. A male reader asked the question, why do publishers insist of giving female authors the kind of covers that men wouldn’t be caught dead with? Of course, there was also the argument that some men wouldn’t be caught dead reading a female author, period; regardless of the cover. In this day and age, I find that a bit sad to be honest. It just perpetuates this idea that women can only write about things that concern women – as if men wouldn’t find anything of interest in ‘women’s things’. Furthermore, what does it say about a man’s sense of identity, that he can’t ‘be seen’ in public with a woman’s book? All big questions, which I will now neatly side-step in order to get to the side of the argument that best serves my agenda. Girlie covers – what’s it all about? Just to be sure I wasn’t being a complete hypocrite, I made a quick scan of the books I’ve read over the past few years and there is an approximate 60/40 split in female to male authors on my list. I think it’s only natural that we will veer towards our own gender, but I was quite pleased to see that my reading has been fairly balanced. I never really think about the author’s gender when choosing a book. My decision is based solely on whether or not the story piques my interest. That… and the cover. It was at this point I realised that the guy in the book club had a point. One of the most important jobs of a book cover is to let the reader know, as clearly and succinctly as possible, what they are getting with this book. If I see a dark and moody cover with blood stains, I’ll probably keep moving. Crime fiction isn’t really my thing, but how many good books have I missed because of these preconceptions? Readers make their minds up in a matter of seconds, based on the cover of a book. So it follows that the publishing industry, rightly or wrongly, create covers that they believe will sell; even if this is at odds with what lies between the covers. However, there is an even greater divide when it comes to books by female authors. Regardless of their literary merit, many publishers seemed determined to shoe-horn women’s books into the kind of covers that female readers themselves feel may be undervaluing the author’s work. It has long been argued that the Chick Lit genre has become something of a double-edged sword; on the one hand, it has introduced readers to a lot of very talented female authors, but it has been marketed in so much pink fluffiness, that many of these writers are doomed to spend eternity on a dusty shelf, trapped in pastel coloured covers and not taken seriously. Like any form of advertising, book covers tell women what they want by surmising who they want to be. I’m guessing the assumption is that we all want to be white, thin goofballs with a hidden intelligence, all wrapped up in designer clothes! Please don’t get me wrong – I am not criticizing this book or its readers, but I am questioning how the author’s work is marketed and whether or not this is a hindrance to women’s writing as a whole. If you are a woman and you happen to write about anything involving relationships or family life, chances are that this will be your marketing strategy. The following graphics from an article on Flavorwire show some examples of how male authored books are marketed completely differently. The jumbo writing is a classic of the genre, which almost screams ‘This is important!’ It demands to be taken seriously, and as such, lends an air of gravitas to its reader. The female authors have markedly different covers. They are warm, decorative and while they’re not as garish as the Chick Lit cover, we immediately assume that what lies inside is somehow more feminine in nature. Would a man pick up any of these books? I would like to think that in this day and age, yes, he would. But why are the publishers trying to divide us at all? As an author, I would hope that both male and female readers can enjoy my stories, but have I subconsciously placed a barely perceptible ‘Men Keep Out’ sticker on my book just by the covers I’ve chosen? And it’s not just a male/female divide. There is also the question of what makes a book commercial fiction as opposed to the more highbrow literary fiction? Who decides this and what are the criteria? If you’re confused, take a look at these covers for the same book and tell me the publishers aren’t playing some sort of minds games! So what they’re saying is, they don’t want to challenge us too much, but give us something wrapped in a package we are already familiar with. Are we such predictable repeat shoppers? I’m not so sure. 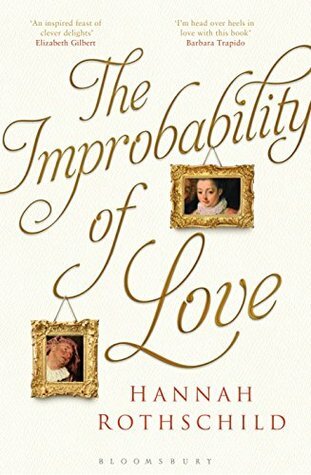 One of my favourite novels this year was The Improbability of Love by Hannah Rothschild. It’s a mystery art caper, that takes us from the auction houses of London to Nazi Germany, and questions the true value of art and man’s desire to acquire beautiful things in search of salvation. AND YET. 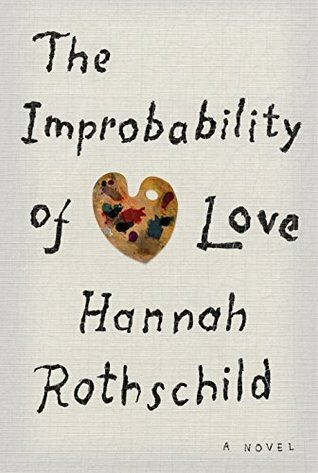 One of the male readers in the book club said he would never have picked it up, but his girlfriend had it and so he started reading it (and loved it). 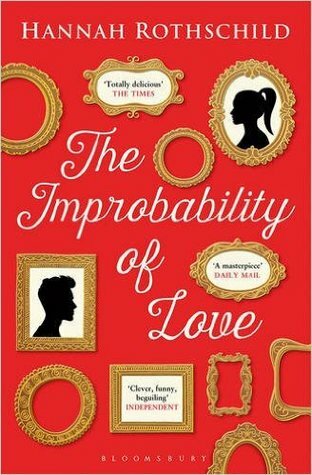 A woman in the group said she wouldn’t touch a book with such a cover with a barge-pole (the cover in question was the red paperback). The hardback features original artworks, while the Kindle version on the end features a palette and dispenses with the swirly writing altogether. In this case, I imagine that the publishers are trying to cast their net wide and get as many potential readers as possible, so why not do that in the first place? I really feel for the authors who have absolutely no say in how their work is packaged or marketed. Perhaps self-publishing will change the face of cover discrimination, or will we, for lack of any better ideas, just perpetuate it? The question we are all trying to answer is, what do readers want? Perhaps a little less cliché and a little more originality. Previous Post Why The ‘Hygge’ Are We So Stressed?! Very interesting article. And I am always put off by covers aimed at females. Which is a shame. Not only does Chard Harbach’s Art of Fielding have one of the best covers, it is also one of the best books- for anyone disappointed in Jonathan Franzen’s Purity, then read this. This is interesting. A friend who is in the know recently told me that as ‘Grip Lit’ (psychological thrillers featuring domestic abuse, child abduction, murder by someone close, etc) is the new chick lit, some publishers are packaging any books that can remotely be described as such in covers that will attract these readers, which often leads to the reader being disappointed when the book isn’t that thrilling. Like Tom above, I am put off by covers aimed at females, particularly the fluffy ones. It’s all a plot by the publishing industry to keep us only wanting to read about designer togs and kids, don’t you know!! It certainly does make me wonder Terry. It seems the only choice we have at the moment is domestic violence or happy ever afters! 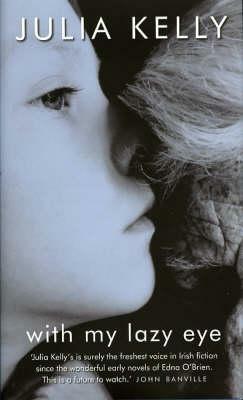 Obviously I’m generalising, there are so many amazing books out there with ‘normal’ covers, as I like to call them. But it would appear that female authors are the ones who have to run the pink gauntlet every time. I don’t like really girly covers. I really enjoyed this, love seeing the differences between covers be it trade and ordinary paperback or on either side of the Atlantic. The differences between them often bemuse me though trying to make sense of the reasons for making them so different. They are bemusing! I wonder if it’s just a case of ‘If it ain’t broke, don’t fix it’. They’re obviously making sales with these covers, but if publishers were really interested in what readers want, I think they would have allowed their covers and their marketing of women’s writing to evolve with the times. Some of them have, but the main players are still playing it safe. 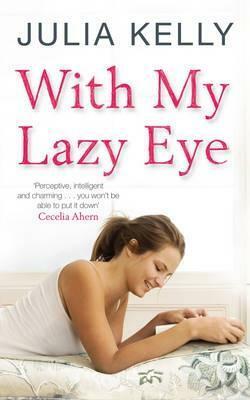 I put this book in my TBR pile.. Always like your blog post! Fantastic post! I normally veer away from cartoony type covers but I’m beginning to realise that there are some gems amongst them. Thanks 🙂 I was in a bookshop with a friend and she remarked that she never buys books with people/faces on the cover and I was like ??? But you can’t always explain what puts you off a book and you’re right, there are lots of gems hidden behind those covers! Thanks for sharing. I struggle with the cover dilemma and need all the help I can get.